Dr. Catsu Reviews The Sacrament (2013). – Stigmatophilia's gore splattered corner of insanity. Home › Reviews › 00's horror › Dr. Catsu Reviews The Sacrament (2013). Dr. Catsu Reviews The Sacrament (2013). Horror is a genre of tribute. In a very real sense, the visceral thrills and chills on offer speak to the darkest heart of the human condition, our fascination with the macabre and perverse; it is the sensation of fear we seek in the secure confines of familiar surroundings experienced vicariously through the fictional suffering of others. What, then, if the horrors on offer purport to be, at least in part, true? Obviously, the genre is riddled with examples of varying quality that use the dreaded ‘inspired by real events’ opening card but this is rarely more than exaggeration, an audience being lured by a desire to witness the extreme in order to escape the mundane. In some cases it is a complete fabrication which, though effective, serves little purpose beyond the marketing arena; the prime example of this is, of course, Myrick and Sanchez’ mega-hit ‘The Blair Witch Project’. Whilst it is easy to look back sneeringly at its faux-reality camerawork and seemingly endless blurry screaming, it is also easy to forget just how absorbed most of us who were around at the time became in the plight of Heather, Josh and Mike; it was pitched as being real documentary footage and, though audiences secretly hoped it was a fiction, there was a general feeling of unease at the prospect of seeing real people in real danger. After all, even if the plot does not provide us with a happy ending, in horror it often doesn’t, viewers are safe in the knowledge that no-one is really being harmed. Some of the most affecting, shocking and fascinating genre movies have more tangible connection to real life horrors: ‘Jaws’ by the 1916 New Jersey Great White attacks; ‘The Amityville Horror’ by the famous haunted house reports; 2007’s horrifying ‘The Girl Next Door’ based on the Sylvia Likens case; ‘Wolf Creek’ psycho Mick Taylor is closely based on Australian serial killer Bradley Murdoch. Even horror’s most arguably famous characters have basis in truth; Leatherface from ‘The Texas Chainsaw Massacre’ has his origins in the grisly tale of Ed Gein, and even Wes Craven’s concept for dream demon Freddy Kruger was inspired by the real-life case of Cambodian immigrants who all died whilst having nightmares. Having all this in mind, Ti West’s latest, ‘The Sacrament’, is rather oddly lacking in a claim to be inspired by the very real horrors of our world given that it is, almost entirely, a retelling of Jim Jones and the Jonestown Massacre. Fashion photographer Patrick manages to track his missing sister Caroline, a recovering drug addict, to Eden Parish, a commune in the jungles of an unnamed South American country. Seizing the opportunity to document the reunion and potentially to get a good story, Patrick’s friends Sam and Jake accompany him. When they arrive and are greeted by armed men, the three begin to suspect that something is amiss; when they finally reach Amy and the commune’s charismatic leader, known to his many followers only as ‘Father’, they are convinced that the message of love and tolerance is a smokescreen for something far more sinister. 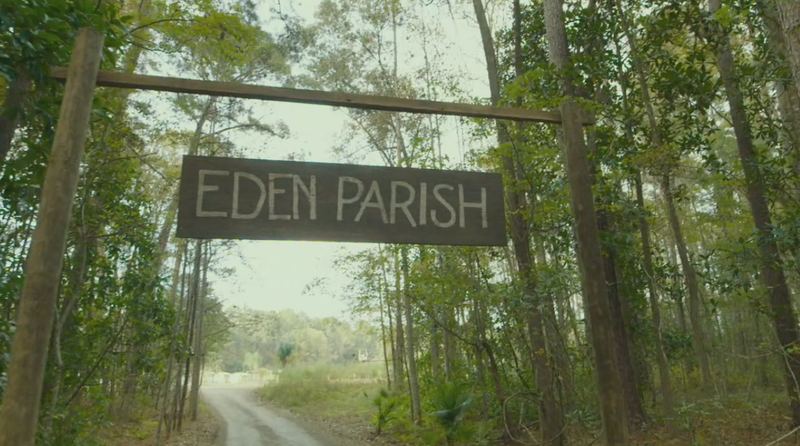 With a ticking clock until their helicopter returns to collect them, will the friends be able to survive long enough to crack open the shell of silence enveloping Eden Parish? 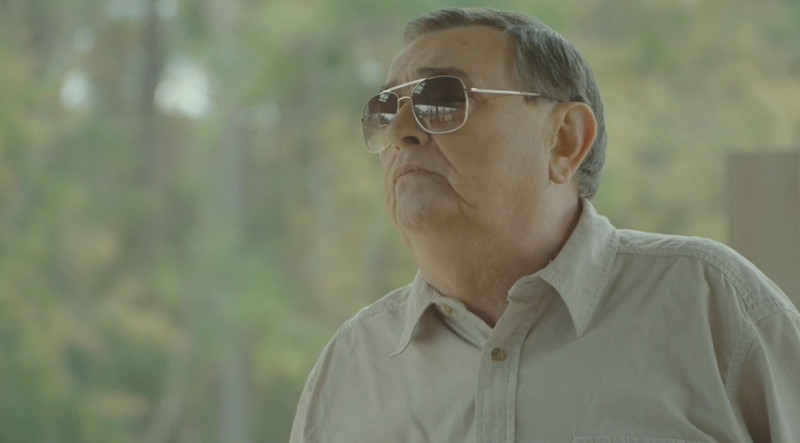 The most obvious issue with ‘The Sacrament’ is its relation to real-life tragedy. An audience with more than a passing awareness of the Jim Jones massacre will recognise it immediately which raises an interesting question: by sticking so closely to real-life events, does the movie run the risk of seeming redundant? When the main plot beats are essentially the crib notes for the true story then there is little to surprise an audience; it is entirely likely that, even without historical awareness, most genre audiences will accurately sketch out the plot by the end of the opening credits. 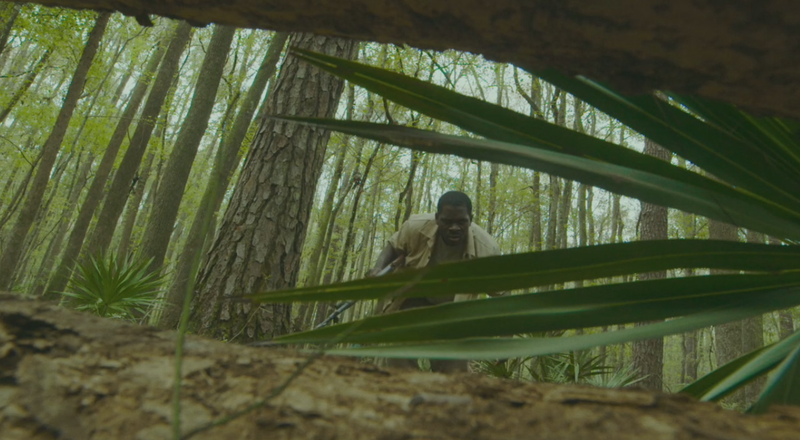 What makes ‘The Sacrament’ so good is the implementation. From a script perspective, West tries hard to create an engaging dynamic between our main players with mixed results. Working against it are Jake and Sam who have their moments of disbelief and horror at what unfolds but who never really catch fire; their interactions are well written but lack the spark that truly great characters have to engage the audience. In trying to create ordinary, everyday guys thrust into an extreme situation, they are so ordinary, so dry and uninteresting, that they seem rather dull, at least until things get messy in the final act. The character of Patrick, whose search for his sister forms the emotional crux of the journey, is even more underdeveloped; with little screen time, there is nothing of his struggle to extract his sister for the audience to grab on to, reducing his character to convenient plot point bookending the film. Where West’s writing does succeed is the characters who reside in Eden Parish; Caroline’s wide-eyed zealousness is immediately off-putting, and various minor characters are impressively fleshed out, especially when it becomes apparent that they too have been deceived. It is in the character of ‘Father’ that ‘The Sacrament’ really catches light however, and West delivers a charismatic, flawed, but, from a certain perspective, strangely admirable antagonist that is far more nuanced than most genre villains. As his script varies in quality, West’s direction is a tour-de-force here and reaffirms him as one of horror’s brightest new lights; it is little surprise that Eli Roth is keen to be associated with him, and it surely will not be long before West dwarfs his inexplicable success. ‘The Sacrament’ is a found footage piece, but it is the most high-quality, clear and professional example for a long while. Whereas most movies use the format to disguise budgetary limitation or, sadly, a lack of creativity, West takes a novel approach; everything is clearly framed and well shot and, as our characters are professional documentarians, this makes perfect contextual sense. It is such a simple conceit but one that works so well here. 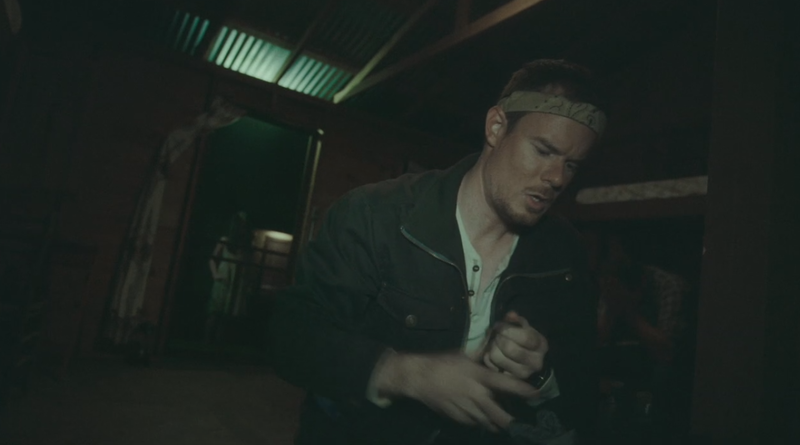 By directing the movie in this way, West gets the personal, small scale, intense benefits of the found footage format but also eliminates many of its inherent flaws. During the final act, it also allows for extended tracking shots as protagonists and antagonists alike roam the commune both searching for, and avoiding, each other. Further supported by West’s now-trademark sound design, this is as technically impressive as he’s ever been. 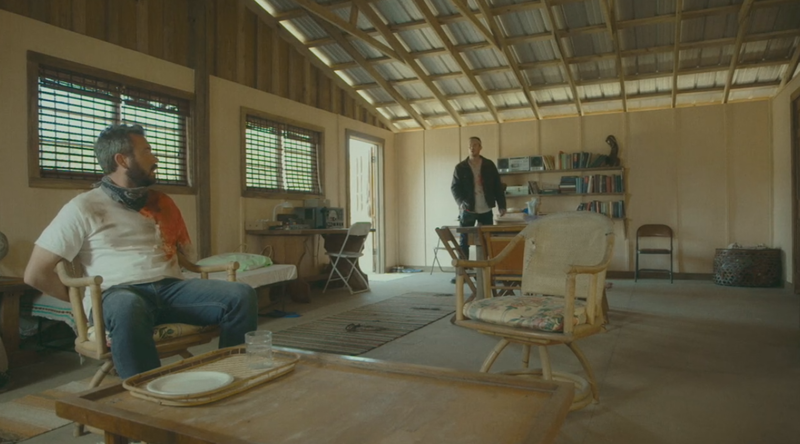 As great as Ti West is behind the camera, Gene Jones is equally brilliant in front of it. Mostly a bit part actor until ‘The Sacrament’ he gives a mesmerising performance as ‘Father’, his affable parental appearance in stark contrast with the simmering cruelty and evil lurking below the surface. His slow southern drawl is in turns warmly reassuring and pregnant with threat, an extended scene in which he is interviewed in front of his parish is as dynamic and magnetic a performance as you’ll see this year, and the film’s final scenes, in which he stalks through a sea of misery, silent and eerily vulture-like, is as perfectly pitched as anything in the genre to date. The rest of the cast do good work especially when their characters interact with Jones: Amy Seimetz’s Caroline captures the fragility and desperation of an addict searching for a place to belong; increasingly promising genre actor AJ Bowen hold his own in the interview with ‘Father’; Joe Swanberg strikes a morally ambiguous figure as Sam, the unlikely voice of the audience; and Kentucker Audley acquits himself well in the thankless role of Patrick, whose final scenes with his sister are genuinely heart-breaking. Beyond the main cast, the supporting roles are all equally impressive, the standout being Talia Dobbins as Savannah who gives the film real emotional heft when it most needs it; a very assured performance from such a young actress. Ultimately, as much as it is inexplicably absent from the film’s promotion, this is in essence a retelling of the Jonestown story, and it would be easy to dismiss it as such. ‘The Sacrament’ is more than that however; it is a film about family, about faith, and about the black hearts of those who prey on the vulnerable. It is also deliberately paced and, as such, will not be to everyone’s taste although with such a story to tell, it needs to be. 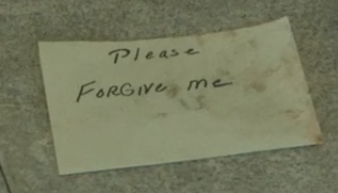 Really though, plot similarities and predictability aside, ‘The Sacrament’ is a masterclass from director Ti West; by so adeptly working within such a trite formula, by using such a well-known story but keeping it still so engaging, by creating such a creepy and affecting piece, he has laid down a big marker for others to reach. Prior to ‘The Sacrament’ I was very much on the fence but no longer; West establishes his credentials as one of the most interesting and nuanced horror directors working today. This film belongs to Gene Jones though. It has been a long time since an actor has so thoroughly controlled the screen, been so mesmeric, so engaging, that it is hard to anticipate a better performance, in any genre, this year. ‘The Sacrament’ is one of the most fascinating films of the year; what it lacks in narrative surprise, it most than compensates in other areas. Highly recommended. ‹ Dr. Catsu Reviews Patrick: Evil Awakens (2014).